Tata BP Solar India Ltd is the largest provider of solar power company in India. It has a work force of 600 plus employees. The company came into existence in the year 1989. It is now extended to 9 regional offices and 4 manufacturing units of photovoltaic and solar thermal. They are both ISO 9001 and ISO 14001 certified. 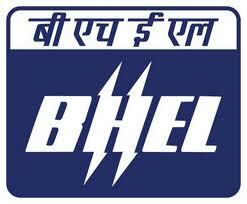 Bharat Heavy Electricals Ltd’s electronics Division, the leading power plant equipment manufacturer of the country was established in the year 1964. The company has expert engineers for manufacturing, construction, testing, designing and servicing of various products of the core sectors such as defence, power etc. 3. Moser Baer Photovoltaic Ltd.
Moser Baer Photo Voltaic Ltd (MBPV) is a global solar panel manufacturing company that boosts of more than 25 years of experience with strength of 7000 employees. The Company is involved in solar PV modules and Solar EPC Services. Central Electronics Ltd is rated among the top Solar Panel manufacturing companies in India. It is also the largest manufacturer of Solar-Photovoltaic (SPV) Cells, Modules and Systems. The company has been successfully catering to more than one lakh SPV systems in both India and abroad. Bharat Electronics Limited (BEL) is the leader in serving the electronics requirements of Indian defense services. This Bangalore based company has been awarded Navratna status by the Government of India. Microsol Power P Ltd is another successful solar panel manufacturer based in Hyderabad. It produces solar module and cells of 125 mm to 150 psq mono crystalline up to 3.3 Watts PV modules. XL Energy Limited was established in the year 1985 at Hyderabad and is considered among the leading solar panel manufacturer in India. It is also ranked among the top 500 Indian manufacturing companies and a leading player in solar energy and the manufacturer of Solar Photovoltaic Modules. Ammini came into existence in the year 1993. It is a reliable solar energy application manufacturer of solar products for domestic, industrial and outdoor. Kotak Urja Private Limited is a flagship company of KOTAK group that is known in the market for manufacturing solar water heaters and also for offering solution towards solar thermal technology. They have expertise in thermal and photovoltaic heating systems as well. NEPC India Ltd is known for their photo voltaic solar panels and batteries. They are 9002 certified company manufacturing solar systems for flat roof, ground mount and other applications.